Experience the Illusions Vinyl Fence Advantage! 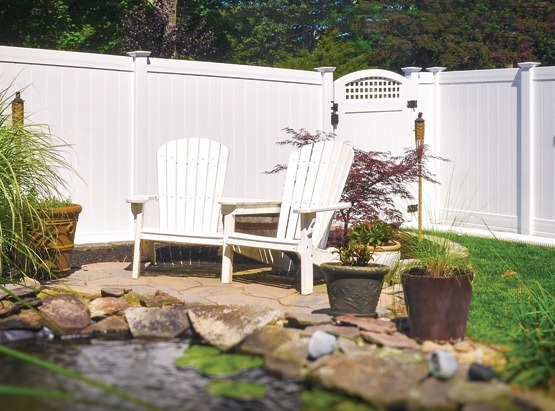 lllusions Vinyl Fence is manufactured in state of the art facilities by a company that has been manufacturing and distributing fence products for over 40 years. All of your vinyl products are made with only 100% Pure Virgin Vinyl and meet or exceed ASTM F964 specifications. MADE IN THE USA – Illusions is the Best PVC Vinyl Fence in the Industry. Illusions Vinyl Fence gives you hands down the most choices of terrific, high quality PVC vinyl fencing products with the most color and wood grain options anywhere. 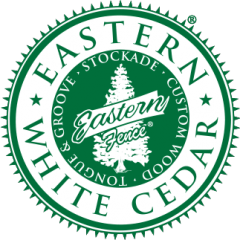 With over 60 standard styles of vinyl fencing that can be mix and matched in 35 colors and 5 authentic wood grains, no other company can even come close to the available choices of colors, styles, and wood grains Illusions is able to provide for you. Not only that, Illusions Vinyl Fence is made from 100% Pure Virgin Vinyl, it’s F964-13 compliant, VMA Certified, Miami-Dade 75MPH Certified up to 8′ high, has the industry leading standard for color retention, and just plain looks awesome! Find out more about the terrific quality of Illusions Fence? CHECK OUT THE BEAUTIFUL NEW 100 PAGE PRODUCT BROCHURE! Please visit our new Illusions Vinyl Fence Photo Gallery. Filled with many of our own photos as well as some of yours. Just click this link to reach our Gallery page. We are excited to announce that we are making all of our Illusions Vinyl Fence Product Brochures, Spec Drawings, and CAD Files available for download. Just click this link to reach our downloads page.